No Author Website? Don’t Panic! Note from the Editor: The SPF team does recommend that aspiring authors create a website when first starting out – not only is it the branded front page for your business but it’s a platform that you, as the author, have almost total control over (unlike, say, your Amazon author page). However, Mateja offers great insight into her experience of using alternative methods to also achieve impressive results – tips that even established authors may glean some use from! You do not need an author website at the very beginning of your self-publishing career. There’s financial cost to begin with, and then there’s the time you will have to invest, the consequences of potential security breaches and hacker attacks, and the design if you are going to hire someone to do it for you. It might even be counterproductive to launch one too soon. What you need to do instead is build a strong online presence and following as quickly as you can. Let’s take a look at your options. You can use website builders, such as Squarespace or Wix, and pay a yearly (lower) or monthly (higher) fee. The prices for anything more than a very basic (and sometimes unprofessional-looking) option can be pretty steep, especially if you live in the EU where you’ll have to pay tax on top. The main benefit of this option is that most platforms take care of safety issues and updates for you. They usually also give you a selection of pre-designed templates to help you make the site look nice. The builders are, for the most part, also relatively easy to use. Still, it does take a bit of learning, and no, do not think you can have a decent looking website up and running in an hour or so – especially not if it’s your first time making one (it took me about a month to build mine on Squarespace). Another option is an open source solution, such as WordPress.org (this is not the same as WordPress.com, mind you). Many are drawn to this option thinking it’s free, but that’s not how things work. If you decide to host and build a website yourself, you might soon see that this is not only complicated but can also end up being pretty expensive. In this case, you’ll have to take care of hosting, security issues, adds-on, and updates yourself, and these things alone can cost hundreds of dollars per year. If you’d also like to have a nice and useful theme (highly recommended) you’ll have to pay for that too, and it will cost at least $50 plus yearly updates. And then think of the time you’ll have to spend on dealing with all this! Last but not least, there is the all-important question of safety. If your site isn’t well protected and doesn’t have an SSL certificate, it will be prone to attacks. As a result, Google will mark it as ‘Not secure’ and might even prevent visitors from accessing it altogether by showing the dreaded ‘Take me back to safety’ warning — in which case, your site is as good as dead. These are the major drawbacks to launching a website at early stages of your self-publishing career. And then there is the issue of time. It might indeed not take long to create a lousy website but building something nice and user-friendly does take quite a lot of time and experience, regardless of which option you choose. So what are the free alternatives? It took me two years to launch my author website, but in these two years I’ve started an email list of subscribers, built my blog following on Medium to close to 5,000 followers, and got my second book to #1 in three categories on Amazon. All of that without having a website. Instead of a website, I used the free Books2Read author page as my landing page and that worked like a charm. The design is simple and nice, it includes social media links, a bio, my books with the links to online stores where they can be bought — many of the necessary basics. But most important, it took me minutes to build and it’s free of charge. I then simply redirected my domain to it and that was more than enough for the initial stage of my self-publishing journey. You can also use BookBub’s author page (or any alternative) for the same purpose. There are many platforms, such as Amazon and Goodreads, that offer them for free. 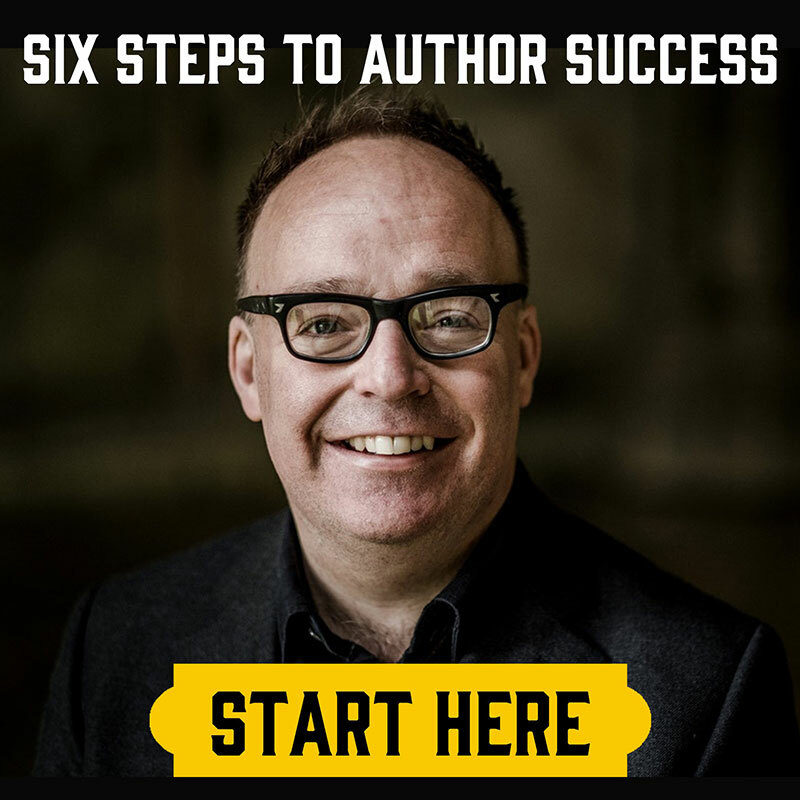 It’s best to create an author page on all of them (it sure doesn’t hurt to expand your online presence as much as possible) and then choose the one that suits you best for your main landing page. You can also use your blog as your online base – what matters most is, again, building a strong online presence and following as quickly as possible. Blogging, guest blogging, and publishing in publications is a great and relatively fast way of doing this. My main blogging platform is Medium, but this might not be the best choice for all genres. Medium, for example, can be great for non-fiction and how-to as well as poetry, but is probably not the best option for fiction. There are numerous alternatives that might be worth trying, such as the already established Tumblr and WordPress.com (again, not the same as WordPress.org), as well as many new and quite interesting blogging platforms, such as Steemit, Ghost, and Ello. Take the time to explore and see what resonates best with you and your writing style. As an added bonus, Steemit and Medium pay their writers for member-only content, so not only you can run your blog for free, you can even make some money by doing it. The main benefit of these options, however, is that they already have large communities of readers. These platforms will drive traffic to your posts to a much larger degree than what you would likely achieve through a website alone. Later on, when you are famous, you might not need to publish there any longer, but at the beginning, these options are priceless. Guest blogging and cooperation with other writers, blogs, and publications is another great way of finding new readers and maybe even getting paid for it. Some blogs and publications pay, others offer their services in return, still others will let you promote your books, and they all provide additional exposure – which is exactly what you need. I’m currently writing my third book and it’s only now that I’ve launched my website. I finally have enough content and a better idea of how I would like to present myself as a writer for that to make sense. Launching my author website did increase my sales a bit, but it didn’t make a world of difference. It takes time for that to happen and I’m sure I’ll start reaping the benefits later on. I have no doubts that it’s necessary for a writer to have a website at some point. What I’m arguing for here is not to rush into it too soon. Building a website was one of the hardest things I’ve ever done and I wrote and self-published two books, so that speaks volumes. It was a stroke of luck that I started my self-publishing career by taking an intensive e-commerce start-up course, where I learned that what one needs to begin with is no more than an MVP and a landing page. This lesson turned out to be priceless. MVP stands for a minimum viable product, and it’s launched with the purpose of testing the responses of customers and providing feedback that can be used for further development. During that time, having a landing page is enough. Only if the product takes off and survives the initial launch does one invest further into a website. My MVPs were my two books and my blog on Medium, while my landing page was my Books2Read author page. It took me two years of publishing, testing, and looking for the best hosting solutions to finally come up with my website. I’ve got great feedback, my readers love it, but I’m still not 100% happy with it, and getting to this point already took me two years! So don’t waste your time by jumping ahead of you. Perhaps you should focus on building your platform and landing page first, see whether your work sells and resonates well with your readers, shape your image accordingly, and only then build and launch your website. Mateja is a self-published author whose third book ‘You Self-Publish, Now What? How to Promote Your Book’ already became #1 new release in two categories on Amazon. Visit her website matejaklaric.com for more information.